Bloomfield Hills New Roof | Bloomfield Hills Roof Tear-Off | Bloomfield Hills Roof Installation | Bloomfield Hills New Roof Estimate | Bloomfield Hills Roofing EstimateMcGlinch & Sons CO.
McGlinch & Sons are keeping true to our four generations of superior service as a family owned and operated roof company. We have been servicing Detroit and Southern Michigan since 1917 with roof tear-offs, new roofs, and roof installations. We are here to offer a fair new roof estimate along with giving you the professionalism that only an experienced licensed and insured business can. If you need a roof tear-off or new roof McGlinch is the only company you need to know. We offer Bloomfield Hills area residents a new roof done on time and within budget. Get the reasonable roofing estimate from our trustworthy team. McGlinch is qualified to handle all exterior construction projects, and our knowledge comes from 90 years in the industry. Call us today if you want a reliable team to give you a new roof or help with a roof tear-off. Bloomfield Hills is a lovely city in Oakland County, Michigan with 3,869 residents. Bloomfield Hills became a city in 1932 and once was a thriving farming area. Many Bloomfield Hills customers recommend McGlinch because of our knowledge and affordable roof estimates and meticulous roof installations. Get the new roof estimate that is priced right from the experts who think of you first! McGlinch is a roof provider, skillful in roof tear-off and roof installation. If you want a new roof estimate McGlinch & Sons will give you the price you want and a new roof that will last. Now is the time to put on the new roof you need and get the roof tear-off that is stress-free. We will help you with every aspect of the new roof. 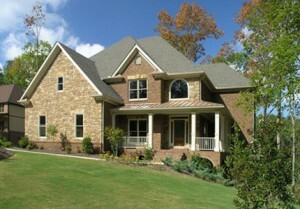 We are the exterior home improvement company with many satisfied customers. Get the quality new roof, roof tear-off or roof installation you deserve. If you have any questions about a new roof estimate call us today at (313) 278-2777. Also, to get your FREE roofing estimate near Bloomfield Hill contact our team!